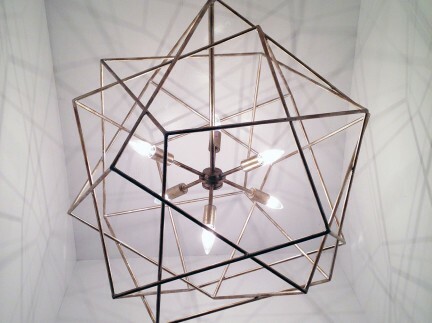 She began working at an architecture firm upon finishing her education, but soon realized that interior design was her true angle. Which brings us to today. 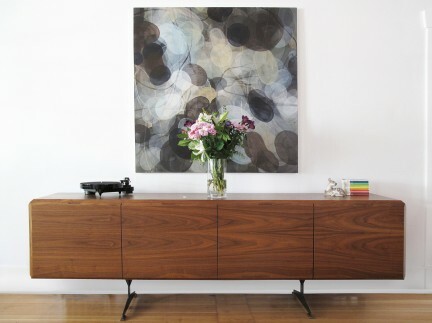 Gallo is an associate at Insight Design, a Vancouver-based interior design agency working primarily on residential developments. 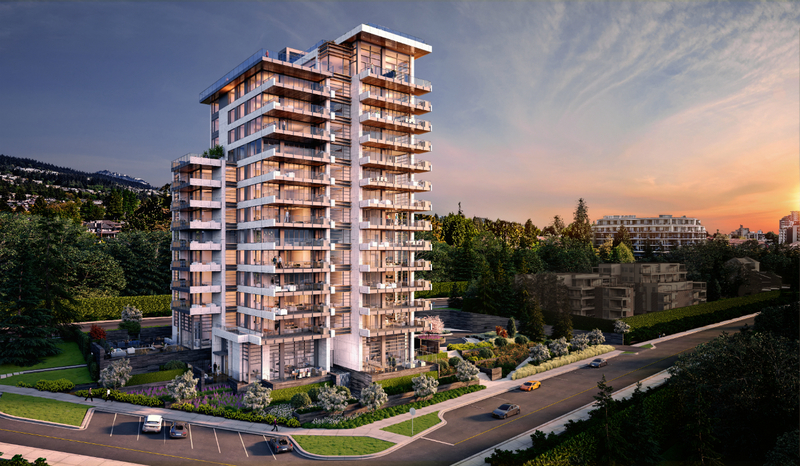 The company often partners with Cressey, including one project that is currently being built: West Vancouver’s Bellevue. 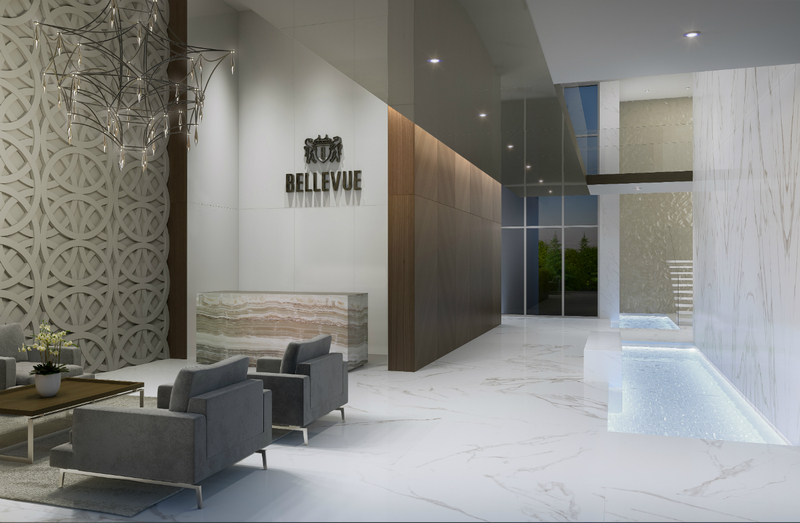 Made of just 35 oceanfront suites (indeed, all 35 have views of the water), Bellevue is a new level of luxury and exclusivity for the city. 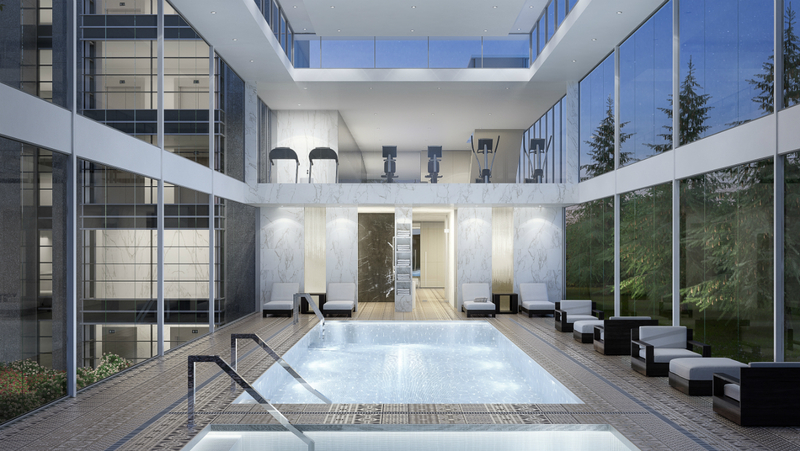 Featuring a swimming pool, fitness centre, steam room, and sauna—plus personal cabana changing rooms instead of community lockers—the development has all of the high-end comforts. 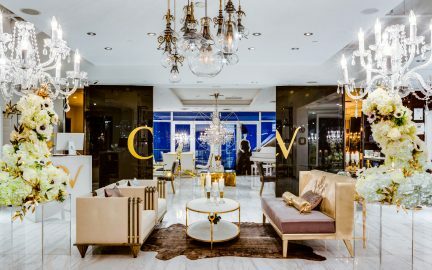 Beyond that, though, Bellevue gives buyers the chance to personalize their spaces in a very real way. 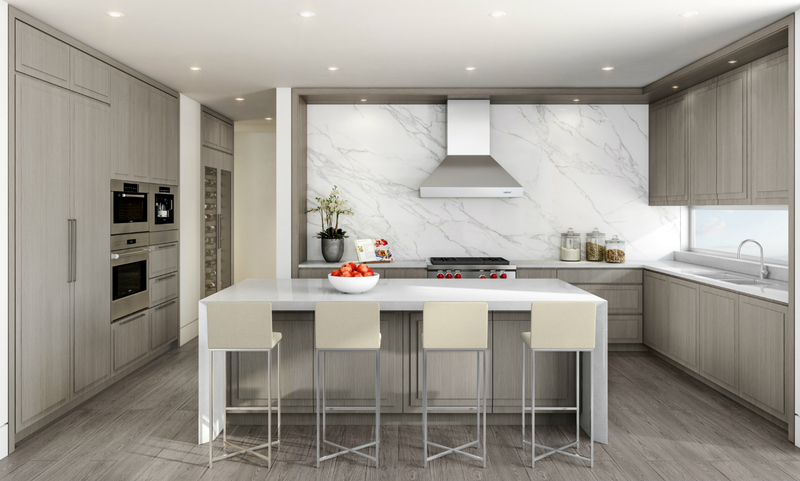 In the kitchen alone, owners can choose their design style, wood palette, stone scheme, and even actual layout. “We developed the product in such a way that it could tailor to the type of chef that you are, or the type of entertainer that you are,” Gallo, who is from Trail and now calls False Creek home, explains. 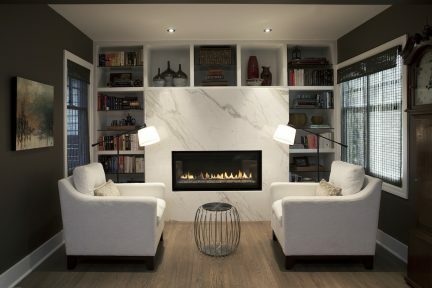 Each available wood and stone option was designed to match the rest, so really any combination can be chosen, and will look great. 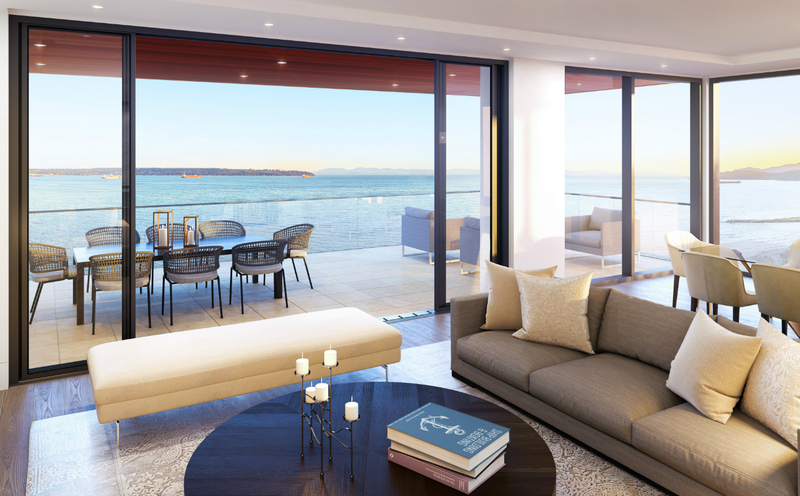 Insight has also worked on projects with the likes of British Pacific Properties, Intracorp, and Boffo. What is present regardless of the client and the development is a distinct clarity, a calmness—there is creativity, but always with sophistication. 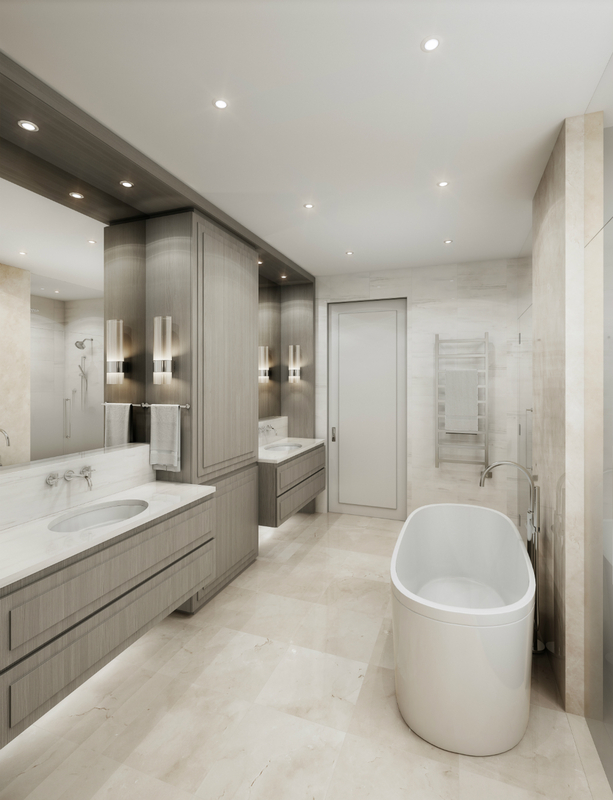 Bellevue is no exception, from the sleek standalone tub in the ensuite washroom to the Wolf appliances in the kitchen. Gallo works hard with her team, every time, to form a collaborative process that leads to the best possible result. As for her inspiration, exploration plays just as an important role now as it did when she decided to become a designer in the first place. “I try to travel as much as I can and just get away and have something different for my eyes to look at; it’s not necessarily that I’m going to copy something that I saw in Italy or somewhere else, it’s just that you see different things and different ways of doing things, and then you can manipulate them and make them a part of what you do,” she explains, before adding one more piece of advice: “Somebody told me a really long time ago that there isn’t ever a time to be creative—you just have to be. Creative.” Now that is some powerful insight. Keep up with our Design section.